So its taken almost a year of development and all the kickstarter support that was raised to develop these statues and it is finally time to send them out to backers. I have made 17 iterations of this model to get it production ready and sometimes it felt like it would never happen. 99 backers on kickstarter helped to make this happen so really grateful for their support. I have been getting a lot of people contacting me to purchase models of Garja Singh but unfortunately I only have enough for Kickstarter backers. 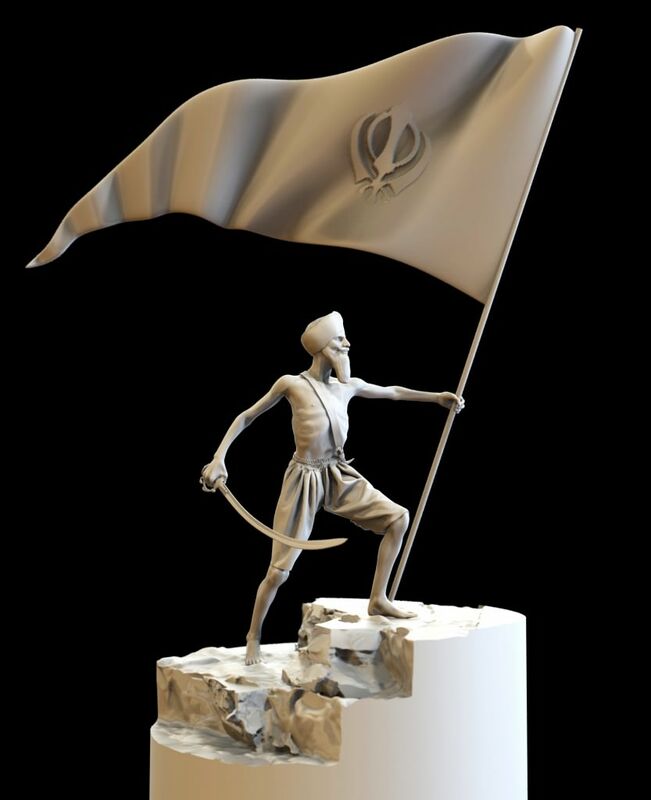 I should have more stock after Vaisakhi time so if you want to be kept up-to-date on new stock availability then please subscribe to our email list below. 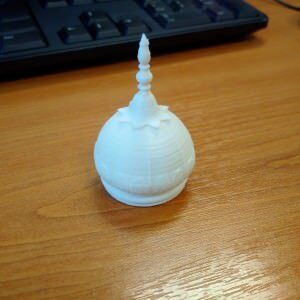 My first 3D print of the Harimandir Sahib Gumut (dome) printed in SLS nylon by 3DprintUK and is 4 inches high (10cm). This was done as a quick test for future projects and also to explore converting virtual 3d models into real physical objects. I was very pleased with the quality. Subtle details can be lost on 3D prints so I will start to exaggerate details in future prints and also thicken up thin parts of the mesh. 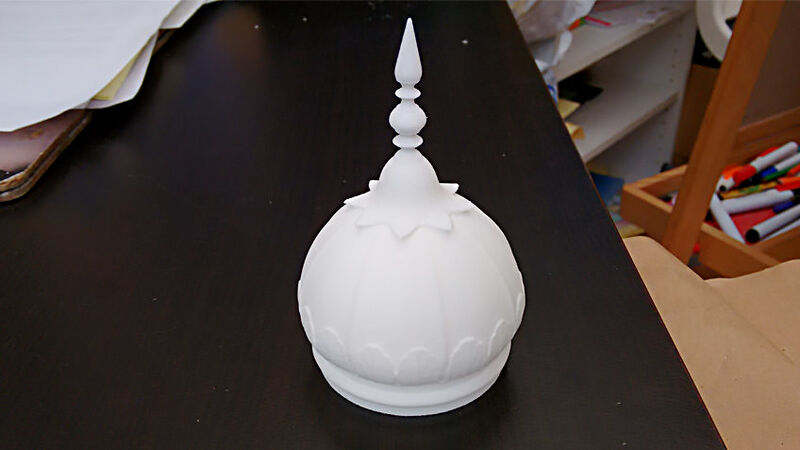 In comparison here is a sample from a makerbot home 3D printer. 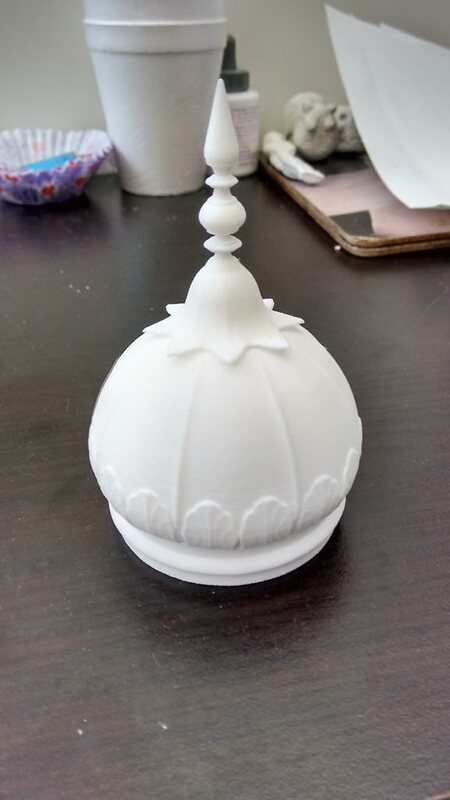 I wasn’t as impressed with the Makerbot print but I can see how useful it can be for producing prototypes.